The African bush elephant or Loxodonta Africana, is the largest living terrestrial animal. 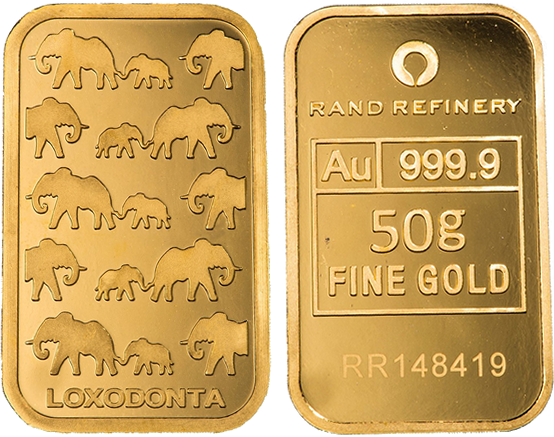 The Loxodonta minted bar features a stylised repetitive design of these extraordinary animals . 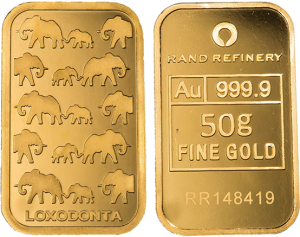 The two dimensional image of the elephants is repeated on the reverse side of the minted bar, whilst still capturing an important icon of the African bush to represent South Africa. To purchase this gold minted bar, please call us on 011 784 4071 or complete the quotation request form below.